The Blue Goose cocktail is gorgeous. It’s a light, slightly cloudy blue that looks like it’s lit from within. The white sugar rim against that sky blue makes me think of skiing. And that makes this drink a lovely choice for wintertime, or when it’s hot and you wish it was cold enough to ski. 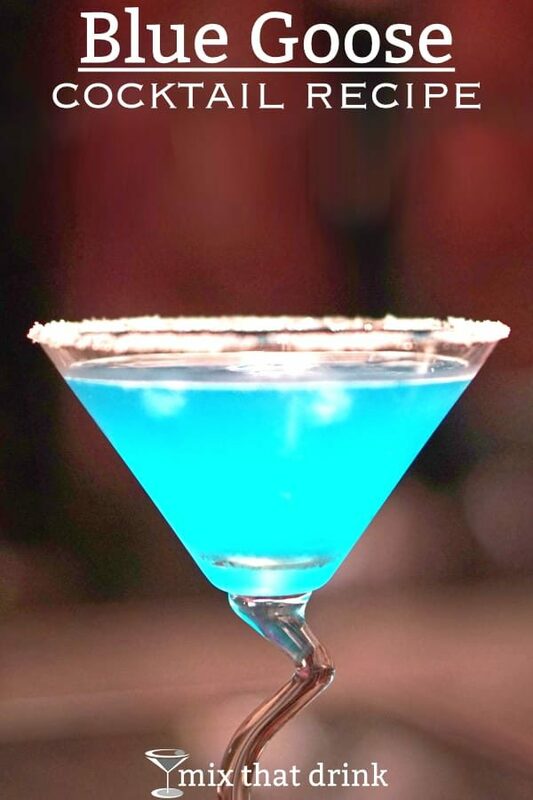 This drink features Hpnotiq, which is almost a cocktail unto itself, blending tropical fruit flavors with vodka and cognac. The dominant note in this drink is almond, followed by lime and other fruits. Fill a cocktail shaker with ice. Add all the ingredients and shake. Strain into a sugar-rimmed glass.